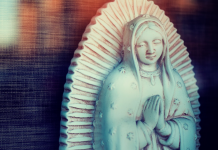 See the end of this article for an activity that will help students learn more about the only approved Marian apparition site in the United States. It started with a “noise like a gust of wind,” explained the fourteen-year-old teen we now know as St. Bernadette Soubirous. Today, more than 150 years later, millions of pilgrims still travel to the once-small town in southern France where that gust of wind first heralded the presence of our Blessed Mother. The pilgrims come to pray for healing and reconciliation, to bathe in the waters, and to remember the 18 appearances, or apparitions, of the Virgin Mary to Bernadette at Lourdes. The word apparition comes from a Latin word that means “to attend or appear.” An apparition is the unexplainable, visible appearance of someone that is seen by one or more persons. Supernatural visions are not a new phenomenon; we can read about them in both the Old and the New Testament. For example, in Genesis 26:24, the Lord appears to Isaac; in 1 Samuel 3:1-14, the Lord reveals himself to Samuel. In the story of the Transfiguration (Matthew 17:1-9; Mark 9:2-7; Luke 9:28-36), Elijah and Moses appear to Jesus and the Apostles. Following his Resurrection, Jesus appears to his disciples several times—three examples include on the road to Emmaus (Luke 24:13-32), in the Upper Room (John 20:19-29), and at the seaside (John 21:1-14). In other instances, angels appear to pivotal figures in salvation history to deliver important messages from God. Examples can be found in Exodus 3:1-10 (the call of Moses), Matthew 1:18-24 (the appearance to Joseph), and Luke 1:26-38 (the Annunciation). ACTIVITY: Divide the class into small groups and distribute several Bibles to each group. Assign to each group one or more of the Scripture passages listed above. Have students read their assigned Scripture passage to discover the purpose and message of the vision or apparition. Allow time for each group to report its findings to the class. The Church believes that apparitions continued even after biblical times and the Apostolic Age, the era in which the first Apostles lived. 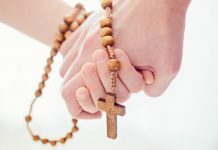 Although there have been reports of apparitions of the Risen Jesus and various saints over time, the most frequent accounts involve manifestations of Mary. Since the Middle Ages, apparitions of the Blessed Virgin have become part of the Church’s devotional life. 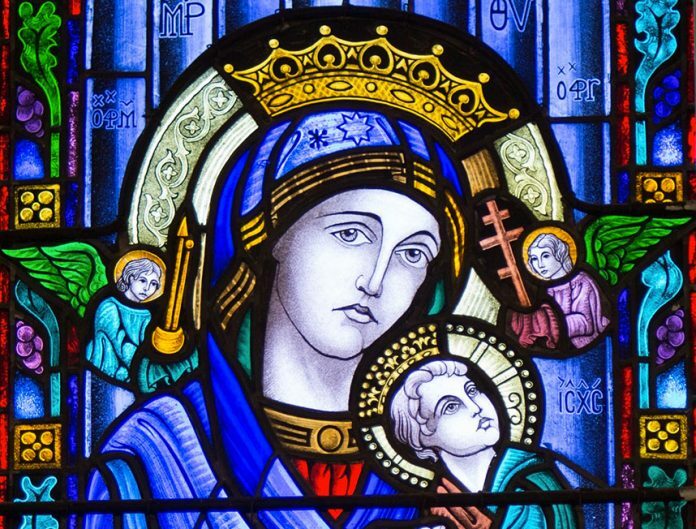 The Church does not take these reports lightly, knowing that descriptions of Marian appearances attract attention—from the curious, the skeptical, those seeking Mary’s help or her miraculous intercession, and the faithful who simply desire to grow closer to Jesus through his mother. In 1978, with the approval of Pope Paul VI, the Sacred Congregation for the Doctrine of the Faith issued a document establishing the criteria for judging the authenticity of a reported apparition. The inquiry is conducted by the local bishop of the diocese in which the apparition occurred. First, the bishop impanels a committee of experts to investigate the claim. The committee looks at four norms: 1) Is there a moral certainty or a great probability that the appearances were miraculous? 2) What qualities and characteristics are found in the person(s) reporting the apparition? (Are they mentally sound, truthful, faithful to Church teachings, and so forth?) 3) Is the message of the apparition theologically correct and free from error? 4) Does the apparition lead to a positive spiritual response, such as prayer, conversion, or growth in charity? Following the investigation, the bishop may officially approve the apparition as “worthy of belief.” Universal recognition of a locally approved apparition is granted only after a rigorous investigation by the Vatican. Although Catholics are not required to believe in apparitions of the Blessed Mother, our faith in Mary’s appearances and the miracles that are attributed to her intercession because of our belief in her presence at these sites are a rich source of devotion. They are also a call to deeper discipleship. ACTIVITY: Have each student discuss with a partner why it is good that the Church has an established procedure for evaluating the authenticity of an individual or group report about an appearance of the Blessed Virgin Mary. Ask each pair to make a list stating at least three reasons. Lourdes is one of the four most renowned and popular Marian apparition sites—the other three being Our Lady of Guadalupe, Our Lady of La Salette, and Our Lady of Fatima. Lourdes is unique for several reasons. First, the combined efforts of the Church and medical communities to document the claims of cures; second, the sheer volume of appearances that Mary made to Bernadette at Lourdes; and third, the Blessed Mother’s confirmation of a recently promulgated Church dogma during one of her appearances. Bernadette Soubirous was uneducated, as was the case with many poor children of her time. After losing their family home, the Soubirous family found shelter in an abandoned jail. On February 11, 1858, Bernadette was collecting firewood with her sister and a friend. As Bernadette prepared to cross a stream, she heard a strong wind and saw a young woman dressed in white carrying a rosary. Although Mary did not speak to Bernadette during the initial visit, Bernadette sensed her kindness and love. She reported the incident to her companion and also told her parents, who questioned her about every detail of the apparition. From February to July, the Blessed Mother appeared to Bernadette 18 times. Mary spoke to Bernadette in the dialect used only in her region of southern France. She treated the girl with dignity, a rare experience for a child of Bernadette’s station in life. During one visit, after Mary instructed Bernadette to dig for drinking water in the nearby dirt, a spring began to gush forth. Today, that spring continues to produce almost thirty thousand gallons of water every day! Miraculous cures have been documented from the beginning among the many people who have bathed in, tasted, or been blessed by the waters. ACTIVITY: Ask students to work independently to learn about the other popular sites of Marian apparitions— Our Lady of Guadalupe, Our Lady of La Salette, and Our Lady of Fatima . Ask them to prepare poster reports or PowerPoint reports that note similarities and differences about Mary’s appearances between the sites they researched and Lourdes. ACTIVITY: Show students a map of France and ask them to locate Lourdes and the town of Pau. Explain that a special railroad line was built from Pau to Lourdes—a distance of approximately 23 miles—as word of Mary’s apparitions spread. The train carried both simple believers, who wanted to pray at the place where our Blessed Mother appeared, and sick pilgrims and their families, hoping for a cure. Tell the class that by 1872, trains were transporting pilgrims to Lourdes from all over the world. The trains frequently had at least one “ambulance” car to accommodate the sick. As word of Bernadette’s visions spread, crowds of people gathered near the small cave or grotto hoping to catch a glimpse of the woman who visited Bernadette. Meanwhile, Bernadette was undergoing intense questioning by many different Church and civil officials. She was accused of creating a hoax that would somehow financially benefit her poor family. People did offer money and food to Bernadette. They reached out to touch her, hoping to be cured of an illness or to be granted a favor from God. Bernadette turned away from all attempts to make her famous. The honor of the Blessed Mother’s visits was enough of a blessing for her. During one appearance, Mary told Bernadette to ask the priests to build a church on the site so that people could make pilgrimages to Lourdes. The Lady, as Bernadette called her, also instructed the girl to pray for sinners to change their hearts. On March 25, Bernadette asked the Lady her name. Mary replied, “I am the Immaculate Conception.” Bernadette had never heard those words before. This dogma—our belief in Mary as the Immaculate Conception—teaches us that Mary was conceived without Original Sin and was filled with grace from the first moment of her life. It had been promulgated for the first time as a dogma of the Church by Pope Pius IX in 1854, only four years before Mary’s appearances to Bernadette. There is no possible way an uneducated child like Bernadette could have known about this official Church teaching. After the final apparition in July, Bernadette wanted only to live a quiet life dedicated to God. She was invited to live in a nearby convent and eventually became a nun. She was canonized a saint in 1933, only 54 years after her death. ACTIVITY: Help students understand that a dogma is a teaching of the Church that is revealed by God and that we must accept as true with our minds and hearts. Emphasize that we proclaim our belief in the teachings of the Church when we pray an official creed of the Church. Conclude your session by praying together the Nicene or Apostles’ Creed. ACTIVITY: Take a tour of the parish grounds and buildings with your students. Ask them to look for statues and signs of Mary on your tour. Invite volunteers to share when and where they feel closest to Mary. Encourage students to visit on their own the Marian altar in church or any outdoor shrines dedicated to Mary, to spend a few moments in silent prayer expressing their love and devotion to our Blessed Mother. Church authorities, the French government, and the international medical community have established stringent procedures for documenting claims of medical cures at Lourdes. Over the past 130 years, 15 doctors have headed the Lourdes Medical Bureau. In that time, there have been 7,000 documented cures that cannot be medically explained. If medical knowledge cannot explain a cure, a report with the medical findings is sent to the person’s local diocese for further study. It is only after thorough study and consultation with Church officials and members of the medical community that the determination of a cure may be declared a miracle. Perhaps the true “miracle” of Lourdes is the renewal of faith experienced by the millions of pilgrims who come to the grotto to pray in the very place our Blessed Mother appeared to an unassuming teenager. We, like the pilgrims to Lourdes, are mindful that when we reach out to the sick and infirm, we are responding to Jesus’ call in Matthew 25:31-40. And remember: It all started with a gust of wind. ACTIVITY: If you have an outdoor shrine to Mary, obtain the permission of the pastor or groundskeeper to plant bulbs or to maintain the shrine throughout the fall and into the spring. Have students work together to write a bulletin announcement inviting parish families to visit the shrine during October and May to offer prayers to the Blessed Mother. On December 8, 2010, Bishop David Ricken, Bishop of Green Bay, Wisconsin, issued a decree stating with moral certainty that three apparitions of Mary in 1859 to a young Belgian immigrant, Adele Brise, in Champion (formerly Robinsonville), Wisconsin, were authentic. This declaration of Our Lady of Good Help has been added to the list of approved apparitions of the Virgin Mary around the world. When Mary appeared to Adele, she called herself the “Queen of heaven who prays for sinners.” The Blessed Mother gave Adele the mission of sharing her faith with others. Adele traveled throughout the state teaching religious education. She also established a school near the site where Mary appeared to her. Introduce students to the only approved Marian apparition site in our country by sharing with them the above information about Our Lady of Good Help. Then have students locate Green Bay and Champion, Wisconsin, on a map. Invite students to go to shrineofourladyofgoodhelp.com to find out more about Our Lady of Good Help. Have them search the internet for pictures of the shrine to bring to class. Use the photographs to create a poster or bulletin board display for the church narthex. This article was written by the Catechist Staff and appeared in Catechist magazine, September 2012.